What Are the Benefits of Mustard Oil for Sinusitis? If you suffer from acute sinusitis, mustard oil is a natural chemical that can help relieve symptoms and support healing. Mustard oils, which are also known as mustard oil glucosinolates or isothiocyanates, are often released by plants after they are crushed or chewed. These components give the oil its warming and pungent characteristics. Some of the richest sources of mustard oils include white mustard seeds, black mustard seeds, horseradish root, Japanese wasabi and nasturtium flowers and leaves. Herbal medicines are not intended to replace standard medical care, so readers are encouraged to check with their doctor to make sure mustard oil products are safe for them to use. Vegetables and herbs rich in mustard oils, such as nasturtium and horseradish, are traditionally used as mucolytics that break up mucous and support sinus drainage during sinusitis. According to Linda White and Steve Foster, authors of "The Herbal Drugstore," both horseradish and Japanese wasabi are specific for sinus infections and provide symptomatic relief to blocked or congested sinuses. 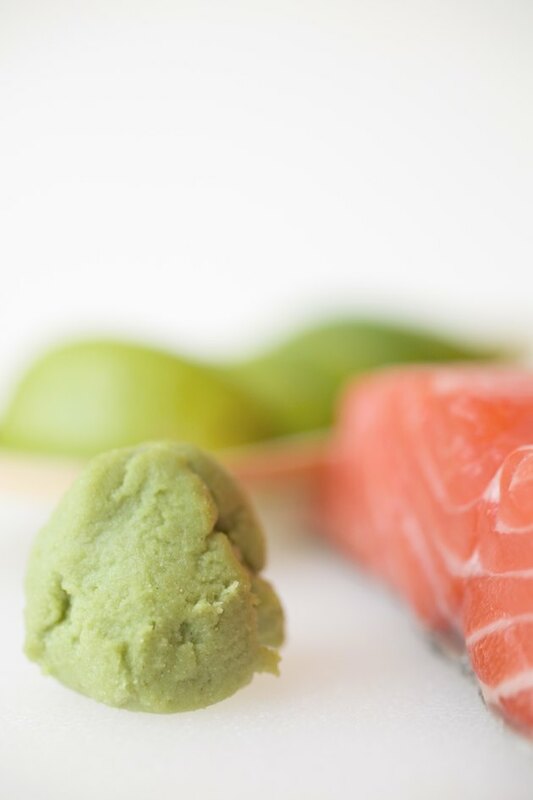 Begin with ingesting small doses at first, especially wasabi, as preparations can vary in their level of heat. Mustard oil and mustard oil glycosides are natural antimicrobials. According to an article published in "The Journal of Food Science" in 2010, researchers found components of mustard oils were effective against a wide range of bacteria. Different isothiocyanates significantly inhibited up to eleven different strains of bacteria, including salmonella, shigella, listeria and staphylococcus. Ingesting herbs or vegetables rich in mustard oils may you fight against pathogenic organisms that cause the infection and provide relief of symptoms. Plants with high levels of mustard oils can be applied externally as a poultice for the sinuses and also taken internally as a vegetable or extract. The German E Commission lists horseradish as an approved herb for internal and external treatment of respiratory infections when mucous and catarrh are present. In addition, pure steam-distilled mustard oil can be purchased and used for steam inhalations to break up mucous and relieve congestion. Mustard oil is generally safe and well-tolerated by the majority of the population, but should be avoided if you suffer from ulcers or other digestive complaints. In a study published in the German medical journal "Arzneimittelforschung" in 2006, researchers compared the effectiveness of mustard oil-rich herbs, such as nasturtium and horseradish, to antibiotics for treating acute sinusitis. Nasturtium and horseradish compared favorably to antibiotics, with 81 percent of patients noticing a relief in their symptoms. In addition, the herbs were better tolerated than antibiotics and had fewer side effects. What Are Some Good Ear Drops for Earache?